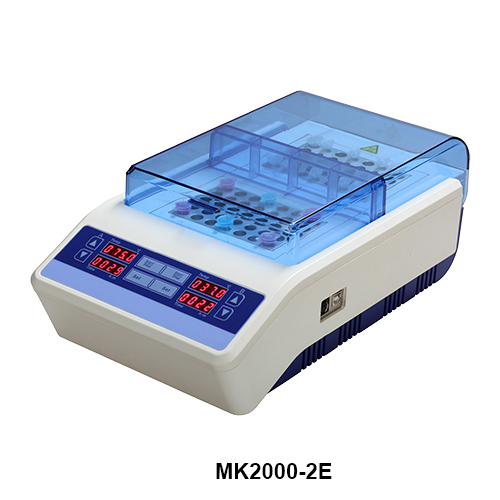 คำอธิบาย: MK2000 series dry bath incubator are ideal for incubation and activation of cultures, enzyme reactions, immunoassays, melting/boiling points and a wide variety of other laboratory procedures. MK2000-2E is an innovative design accommodating two blocks with independent digital temperature control. Each block can be set at different temperatures - ideal for multiple users or for applications where samples have to be transferred between two temperatures very quickly. Heat up to 105 C ,optional external temperature probe.